Make a payment on the PolBox.TV site using Bitcoin! Bitcoin is an innovative Internet currency that can be used anywhere in the world by passing banks and intermediaries. BitPay is one of the possible Bitcoin payment methods that we present on our site. Please, enter the PolBox.TV website. Select the desired products add them to your shopping cart and click 'Pay Securely Now'. When you go to cart, please complete and check all the data if they are correctly entered. (If you have a coupon, please use it). Under 'Payment Method', please select the BitPay payment method, press 'I agree with Business terms' ☑ and click 'Place Order'. 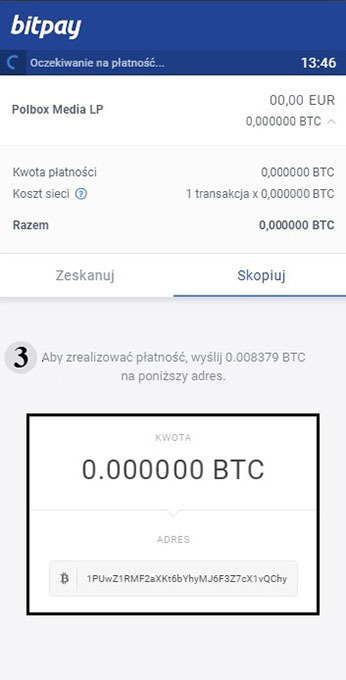 Then will redirect the order to BitPay. If your wallet is on the device you are using to view the invoice, you can open the payment in your wallet. Confirm everything is correct, and your wallet will make the payment. If you are using an older wallet, or a wallet, which does not support the other methods, you can also send the payment manually. 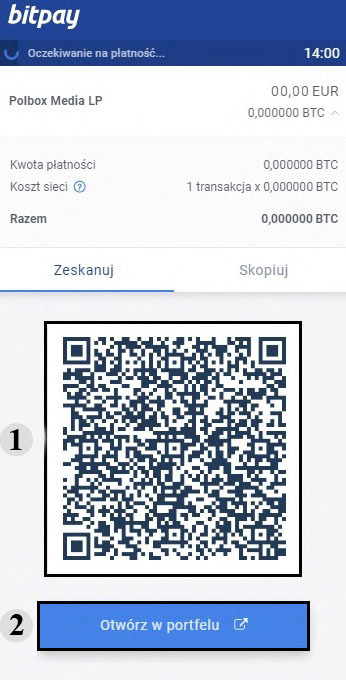 Carefully copy the address and exact bitcoin amount from the invoice to your wallet, and send the payment manually. https://www.coinbase.com/ (For nationals of 33 countries, a list of countries can be found at coinbase.com).